Do you like Goblin Rocket Rider!? Share it with your friends. Goblin Rocket Rider! 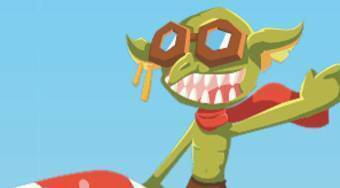 - move with the goblin on the rocket around the game board, collect coins and avoid obstacles. Video tutorial - Goblin Rocket Rider!